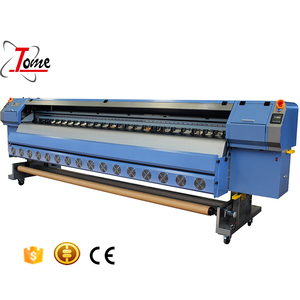 2)Optional for professional collecting system to achieve consistent printing quality and safety of print head in high- quality printing 3)Second ink tank,print head heating system,three-stage adjustable temperature heater for media. 4)Adopt high power&intelligent infrared drying system and fan drying system to ensure immediate drying after printed. ang the printer must be strictly check by us before send out loading the container we can loading full machine container,or loading together with printing material. Ink Tpye Allwin Konica Solvent ink suitble for the printer, click to view more. Packing & Shipping Packing in strong wooden box for export will arrange shipping to any port . Our strengths Direct from factory original & big D isc oun t ! There is a monitor to control 3 steps heating temperature of this printer. You can send back the broken spare parts to repair or replace. Beyond warranty time, for broken parts just need cost price. Inkjet printer Performance & Characteristic 1) Display and printing of serial number, batch number, shift number and products count . 2) Display and printing of date layout and automatic modification of real-time clock . 3) Printing of reserved and inverted typeface . If goods are damaged during the transport, please inform our service department within 3 days after goods are received. Print Head Return Requirements: All our print heads are high-precision commodity and brand new, any improper operation or substandard supporting products will damage the print heads. So after receiving the goods, please first confirm print head model and specifications, any problem, please contact with our sales staff as soon as possible. Hangzhou Aeon Machinery Co., Ltd. 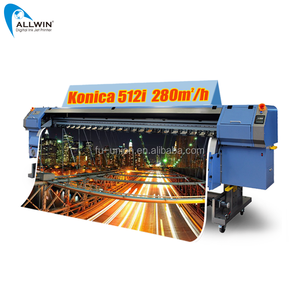 Product Application This Allwin sublimation textile printer is designed for meeting the quickly changed fashion garment market. What you need to do is to print the images your want from computer to the fabric directly. Or if you got your own printer, you can also consider to buy the direct printing solution only. The Spectra Polaris PQ-512/35 AAA is a high performance inkjet printhead designed for wide format printing applications. Using VersaDrop jetting technology, the printhead is capable of adjustable binary operation at drop sizes up to 80 pico litre. Heaters and temperature sensors allow precise control of ink viscosity at jetting temperatures up to 60&deg; C.
We have more than 10years experience technology Support for the training and after-service with our professional team. We suggest that users order spare parts package for long time maintenance and fast replacement. During warranty period, please send the broken parts back to us and we'll fix the damaged parts. 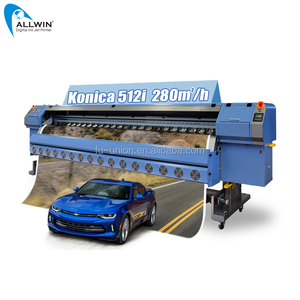 Alibaba.com offers 1,379 allwin digital inkjet printer products. About 45% of these are printing machinery parts, 29% are inkjet printers, and 9% are printing inks. A wide variety of allwin digital inkjet printer options are available to you, such as free samples. There are 1,301 allwin digital inkjet printer suppliers, mainly located in Asia. 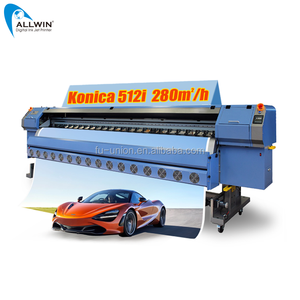 The top supplying countries are China (Mainland), India, and United Arab Emirates, which supply 99%, 1%, and 1% of allwin digital inkjet printer respectively. Allwin digital inkjet printer products are most popular in South America, Africa, and Mid East. You can ensure product safety by selecting from certified suppliers, including 33 with ISO9001, 13 with Other, and 3 with ISO14001 certification.